Purchases may be made at any retail or service business located in Rush County including home based businesses. Some exclusions apply*. Come on board! Your passport awaits! 1. Pick up your Passport at a participating merchant or download it from this site. 2. 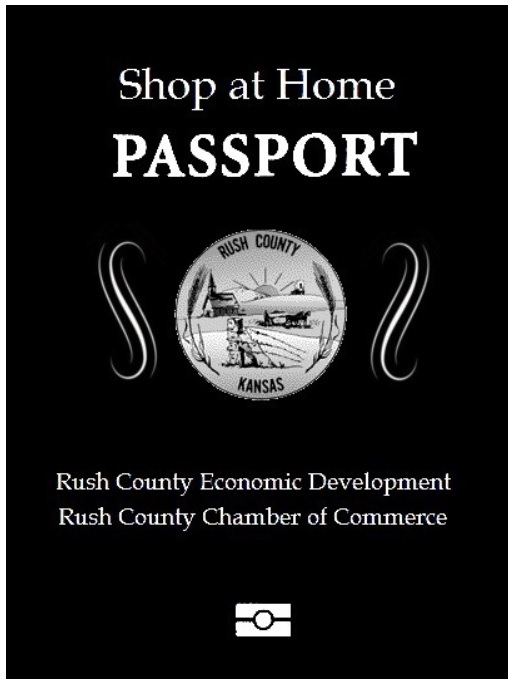 Spend just $75 per month (Sept. - Nov.) at a qualifying Rush County business, record your purchase in your passport, keep your receipts with your passport (your receipts will be returned to you when your passport is validated. Note: customers will not be required to present a detailed receipt for purchases of medications, medical procedures, or expenditures protected under HIPAA privacy regulations. You need only to record up to $75 per month. 3. Bring your completed passport to Grass Park in La Crosse on November 23 at the Christmas Kick-off where someone will validate your passport and return your receipts to you. If you will be unable to attend, advance drop off locations will be announced. Purchases made between September 4 and November 23, 2018 qualify. Purchases will not carry over into another month. For example, purchases made in September do not carry over into October or November. Spend $75 or more per month in any store in Rush County to be eligible for the grand prize. Purchases must be made in any retail or service business located in the county including home based businesses. (Payments for past purchases on charge accounts, utilities, mortgages, home or business rentals, deposits into bank accounts, or payments for federal, state, or local taxes do not qualify.) Retail and service businesses must have a business address registered in Rush County. Be sure to retain your receipts with your passport. Each time you make a purchase, enter the date, name of business and amount of purchase in the table on the inside of your passport booklet. Once your purchases total $75 or more in a given month, you have completed that month! Please only 1 passport per person in the household. If there are 2 persons in the household, each may enter their own passport. When you have completed your purchases for November, you may bring your passport and receipts to the Christmas Kick-off in Grass Park on November 23, 2018 for validation and to be entered in the Grand Prize Drawing for $500 in Chamber Bucks redeemable at any participating business along with other prizes. If you are unable to attend the kick-off, alternate drop-off sites will be available. Drawing will be held on November 23, 2018 during the Christmas Kick-off at Grass Park in La Crosse. Need not be present to win, but we must have your completed passport as your entry. Did you know…If every household in Rush County spent an additional $75 per month at home, that would inject over $1.7 million annually into the local economy. *Chamber Bucks redeemable at participating Rush County businesses. ©2016-2018 Rush County Economic Development. All Rights Reserved.